I was a bit behind the curve when it came to checking out The Object of Nostalgia, up through this Saturday, February 12th at Columbia College’s A+D Gallery, having only learned about it last week in conjunction with the CAA panel on the same topic. The show’s central organizing question–what is worthy to speak about when one is making “important” art?–is of great personal interest (I’m also keen to apply that same question to criticism, but that’s another post). So any exhibition that takes an unapologetic look at our (so-called) “nostalgic” connection to the object in contemporary art-making, or as the curators put it, contemplates the nature of “sentimentality and its conflicted relation to contemporary art” is a most welcome thing for me to behold and overall, a project to which I’m pretty much automatically sympathetic. Curators Rene Marquez and Lance Winn invited four artists to participate in the show, and asked each of them to select another artist whose work resonated with the exhibition’s themes. This all worked quite well, and the result is an exhibition filled with strong pieces, in which aesthetic genres such as portraiture, ceramics, the family snapshot (framed and resting on shelves, no less) and even 19th century dog paintings make a return. 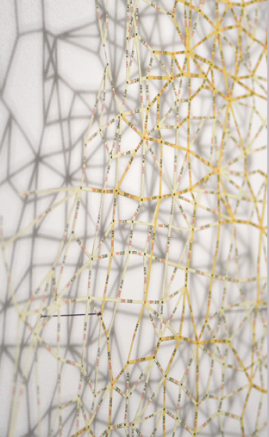 I especially liked Dawn Gavin‘s altered paper map pieces, which serve to remind us that in the age of augmented reality, the two dimensional map has already gone the way of the LP record. Although I tend to think maps alone are compelling enough to contemplate as-is, Gavin’s delicate incursions into the map-as-physical object changed my mind. They’re surgically precise yet seem to tremble with unspoken feeling. 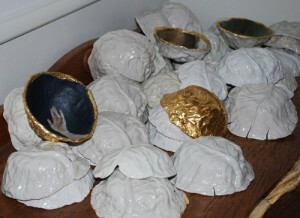 Dawn Gavin, Lung (2005-2007), detail. Dawn Gavin, Lung (2005-2007). Altered US interstate map and insect pins. I also thought Clayton Merrell’s paintings were terrific (the one featured in the catalogue is actually not in the show). They’re old fashioned plein-air type landscapes in oils and egg tempera, but their surfaces have been brushed over, scratched and scraped and otherwise distressed, if you will, in a manner that suggests a desire to caress the surface, perhaps to the point of being unable to leave it alone. 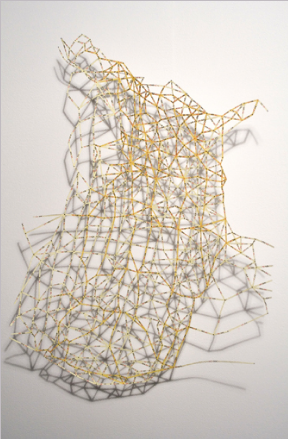 Clayton Merrill, New Particle Cascade, 2008. Egg tempera on panel. 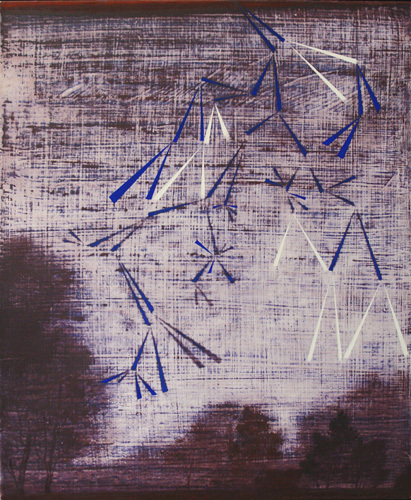 What’s more, Merrill adds all manner of abstract geometric as well as biomorphic forms to his open skyscapes–sunbursts, droplets, along with numerous fractal elements that skitter and unfold and otherwise ladder their way across his compositions. Like all great paintings, Merrill’s look better in real life than they do in reproduction, so try and see them in person if at all possible. 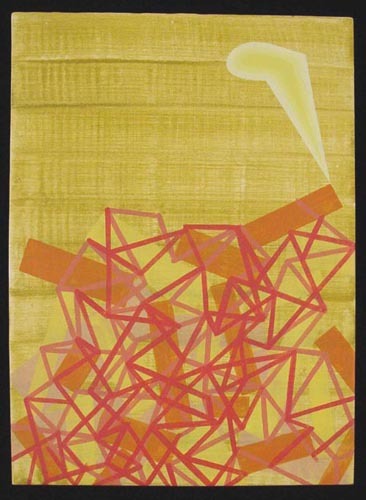 Clayton Merrill, Zinc Exhalation, 2004. Egg tempera on panel. There’s not a single bad piece in the show. I would, however, have liked to have seen a lot more of Julia Lothrop’s tiny oil portraits — there are only two on view here, not enough to make the impact that I’m betting a whole long row of them would have made. Also: if this is the same Julia Lothrop who is a RISD alumni and makes cloth dolls out of vintage fabric — someone made a very grave error in not including those dolls in this show as opposed to the more acceptable little oil paintings. I shouldn’t have to elaborate why – take another look at the show’s main argument. But if it’s not the same Julia Lothrop, then, uh, scratch that. I also liked Elaine Rutherford’s installation very much, but wished that the small video screen of lapping waves wasn’t part of it. It’s not that I’m against the presence of technology in a show like this, I just didn’t want my attention to be taken away, even for a second, from the gilded porcelain cabbage leaves strewn on the wooden shelf before me. 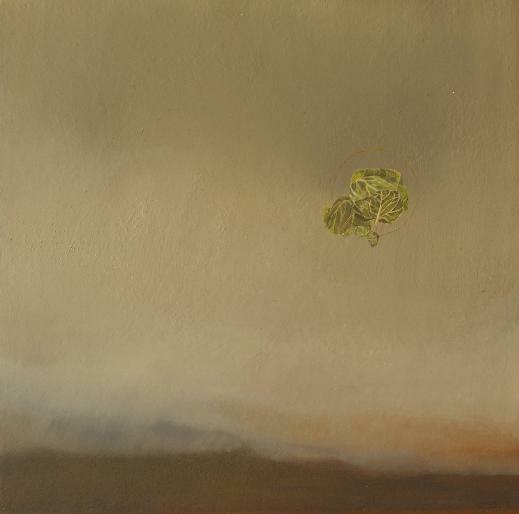 The accompanying painting of a cabbage leaf parachute sailing languorously through the air was pretty wonderful too. Elaine Rutherford, Host, oil on canvas. But the only artist who I think really hit on the more radical implications of this show was Pamela Fraser, whose own contributions consisted simply of two drawings — little more than doodles, actually — pinned to the wall. One drawing is titled “heart, boot” and the other “Suffer No Fools”–this last executed on a piece of motel stationery in baby blue bubble lettering of the sort you’d see on a Pee-Chee notebook in junior high. The material flimsiness of these two works contrasts sharply with the momentary yet overpowering emotion that seems to have spurred the artist to make them: one of love, the other of anger, perhaps even rage. 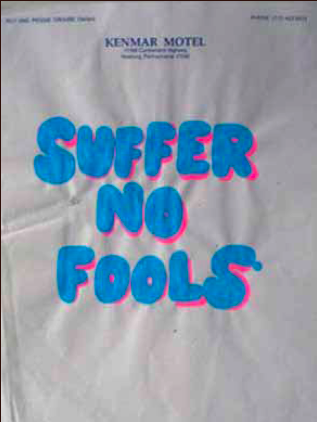 Pamela Fraser, Suffer No Fools, 2004. 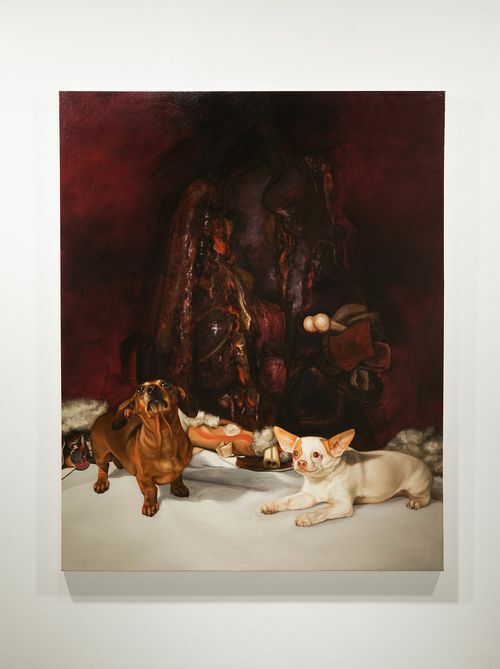 Fraser in turn selected Raychael Stine for the show, and Stine’s large scale oil paintings, executed in the manner of 19th century still life paintings and aristocratic lapdog portraits, manage to be equal parts charming, historically weighted, and meatily visceral. Great stuff. Raychael Stine, Early Darkness, 2009. Overall, though, I wanted The Object of Nostalgia to push its underlying ideas a lot further: further into the territory of decorative art and craft, of bad taste, and even of warm-hearted kitsch. 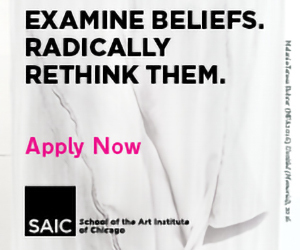 It would have been especially thought-provoking had I been made to confront my own prejudices about sentimentality in contemporary art by way of a piece that struck me as somehow being inappropriate for an art gallery. I never once felt embarrassed for liking anything I saw there–and shouldn’t I have, given the thesis? What if, for example, some anonymous thrift shop paintings had been thrown into the mix, or something along the lines of these images, by the french photographer Catherine Leutenegger, whose series “Welcome Home Baby” is about the “reborn baby doll” phenomenon. (Talk about your objects of nostalgia!) What if an artist who made those dolls, or some similar type of art, were inserted into this show? But these are ultimately the complaints of a viewer so invested in the subject matter at hand she can’t help but re-curate the show in her own mind. That’s a good thing, right? Don’t miss the grouping of objects culled from participating artists’ studios that lies off to the side near the exit door. It’s perfect: cryptic, mysterious, each artist’s offering a little readymade work of art in itself. 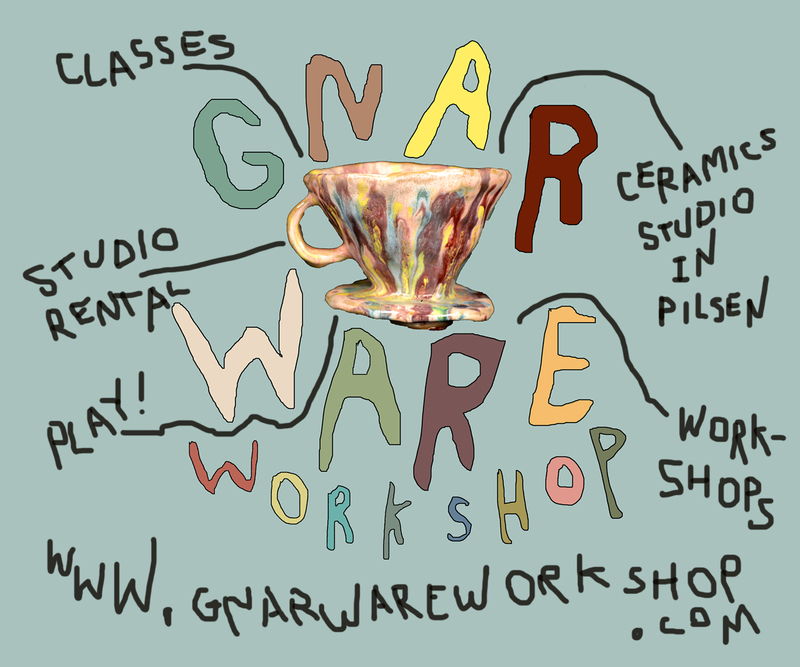 Last chance to see this show is Saturday, February 20th.